This weekend was a busy one. 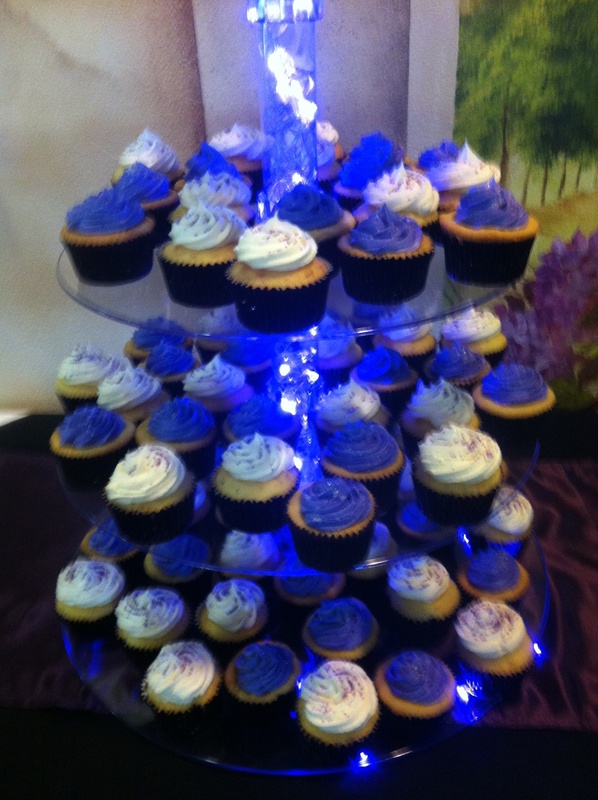 My main focus was on the amazing wedding on Saturday which I provided over 150 cupcakes and a cake. 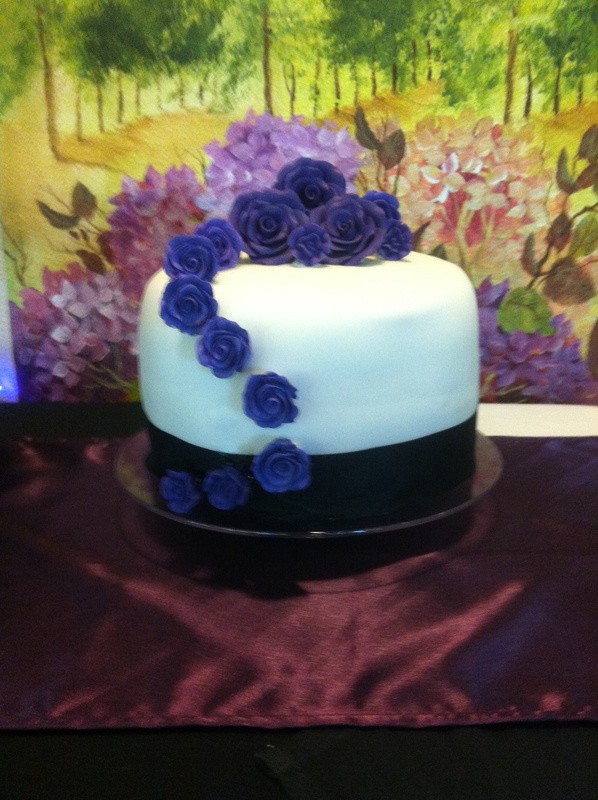 The cake was a Bacardi gold cake with an orange buttercream frosting covered with fondant and decorated with purple gumpaste flowers. While the royal icing gave us some trouble, the end result was perfect. 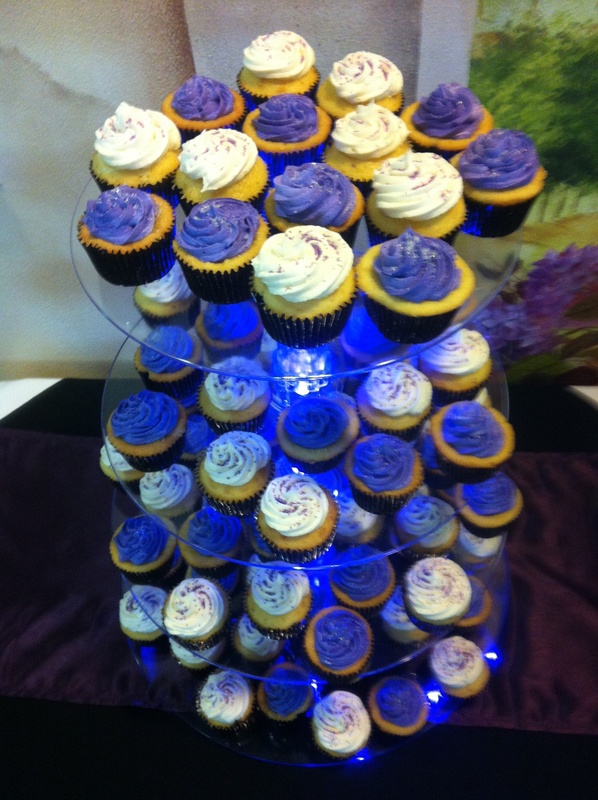 There were also two types of cupcakes: white velvet with the same orange buttercream (purple) as the cake and a banana cupcake with caramel buttercream (white). 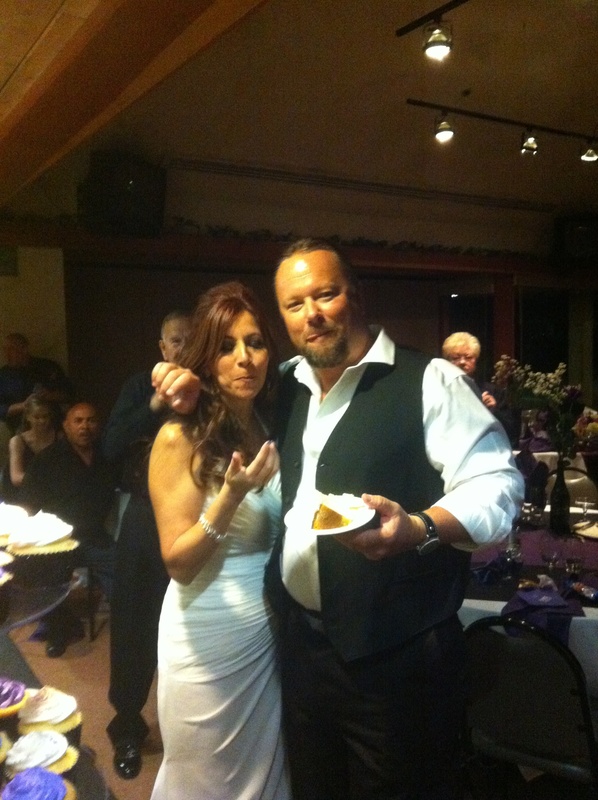 The happy couple enjoyed them! 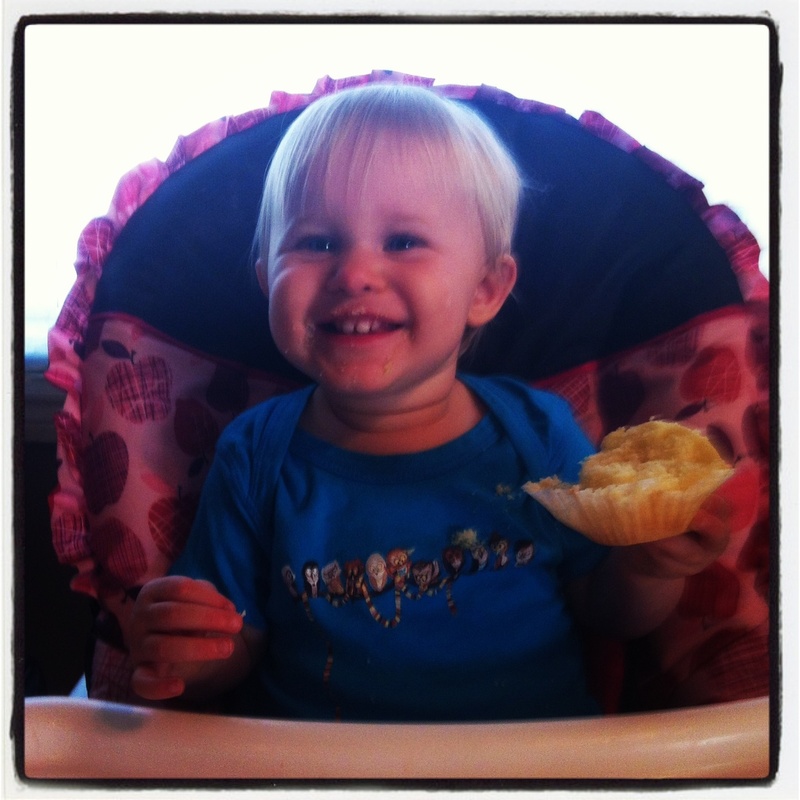 But before we even left, we had to employ our newest member: the official Cinful Delights cupcake quality control. She approved although she wanted to try out a few more. Next weekend there is more baking, more parties so make sure you check back to see what’s coming out of the kitchen.